Discussion in 'Reserve/Youth Forum' started by RedMachine03, Nov 3, 2018. Kind of annoyed Greenwood won't be playing and i have to see him struggle to adjust to Sbragia's clueless shite instead. 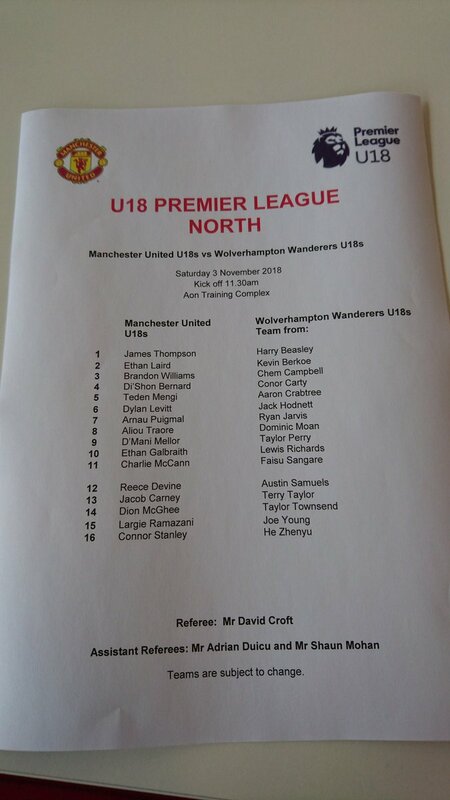 why has MUTV stopped broadcasting U18 matches? The first team match start after an hour, MUTV does radio commentary I think. Thompson, Laird, Mengi (Devine 5), Bernard (Ramazani 81), Williams B.; Levitt, Traore, Galbraith; Puigmal (McGhee 76), Mellor, McCann. I ll ask here as I dont think its important enough to make a new thread about. I read today that Everton have been given a ban from signing players aged 10-18 after poaching a youngster from Cardiff in 2016. He has later apparently moved to us, anyone know who it is ? Poole came from Newport, although he was at Cardiff City's Academy before joining them. We have had Regan Poole for donkeys years. Well I assumed you must have been joking as it obviously wasn't Regan Poole, who meets none of the criteria describing the player. My original post should've been Regan Poole ?, but the question mark didn't register for some reason and I didn't realise until it had been quoted so there was no point editing it to correct it by then. I didn't know who it was, still don't, but presuming he was Welsh he was the only one currently at the club in the under-age groups(including the 15s and 16s)not called Levent Gundogan(because he came from Connah's Quay) that I knew of that had definitely come from a Welsh club.